I was invited to spin records at my friend's shop during the 2nd Saturday Art Walk in Long Beach this past June. Native Sol is an earth friendly lifestyle store, located in the East Village Arts District. They offer products that are Organic, hand-made, local, fair-trade, upcycled, and sustainable. Native Sol had a guest artist named Manny Torres, who had a table set up with his unique, later etched jewelry under the moniker 2NDWND. He was selling pieces etched out of old vinyl records. 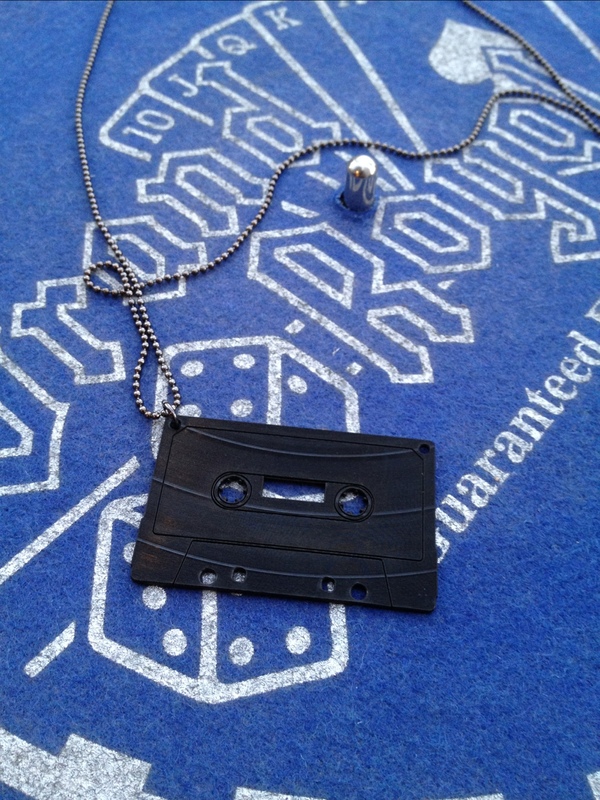 He gave this cassette piece to me at the end of the night. Big up! 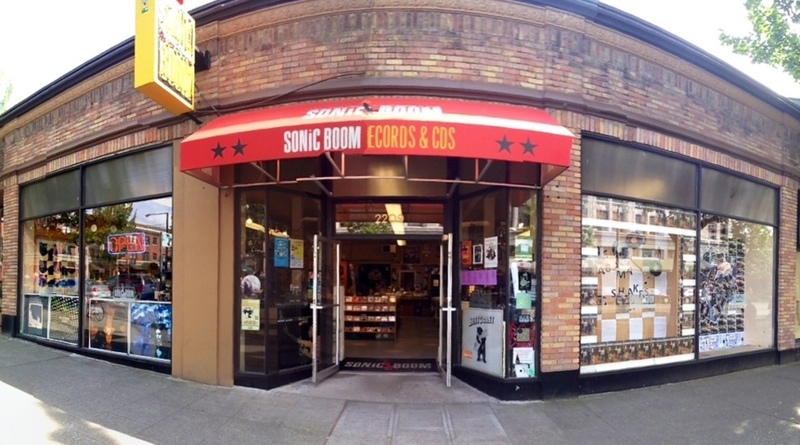 Sonic Boom records, also located in the Ballard area of Seattle, is pretty much the equivalent of Amoeba records, just smaller. 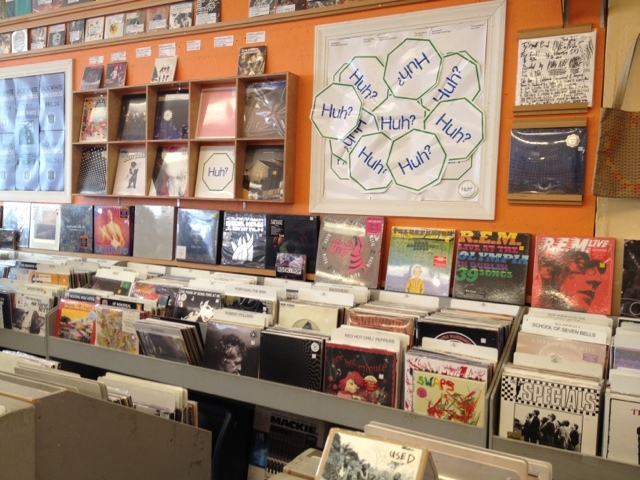 New releases all over the place, great selections, a cool used section with decently priced quality records, and a large dollar bin section. They even had a cool 45's section, which was well organized (alphabetically) in wood boxes, and even had a "Sale 45's" bin, in which I surprisingly found some quality joints. I spent most of my time shuffling through some $2.99 records. Ended up scooping up a Willie Hutch "The Mack" soundtrack, Pharoahe Monch "Internal Affairs" Instrumental LP, Butterfield Blues Band "Keep on Moving" LP, Budos Band "Up From The South" 45, John Holt "For The Love of You" 45, Santana's S/T LP, Rasco "The Unassisted" 12", and Souls of Mischief "Rock It Like That" 12". Even found some cool, locally made, buttons that were called "Music Dictionary buttons." Each button had what looked like a page torn out of a dictonary, with terms like "phonograph" or "record" on them. Had to support the local artist, whose name is Dawn Tyler. You can find her on Facebook, but if anyone knows Dawn, please send her a BIG UP for me. 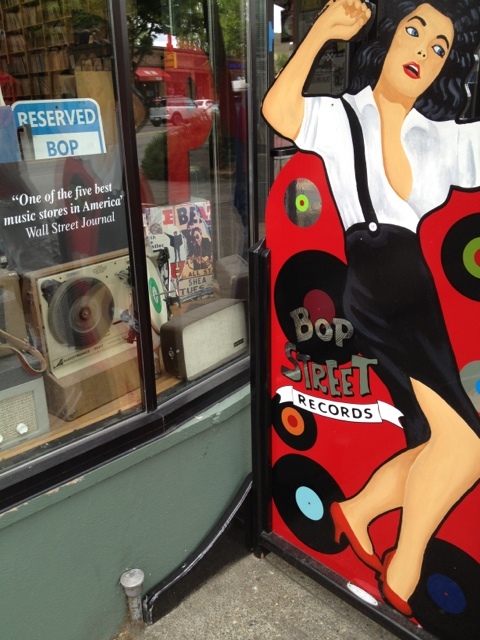 The first stop on my digging adventure in Seattle was Bop Street Records: a spot, which the owner Dave had no problem telling me almost as soon as I walked in, that Wall Street Journal had named them one of the five best music stores in America. Not the biggest space, but very well used, with records along the walls reaching up to the ceiling. 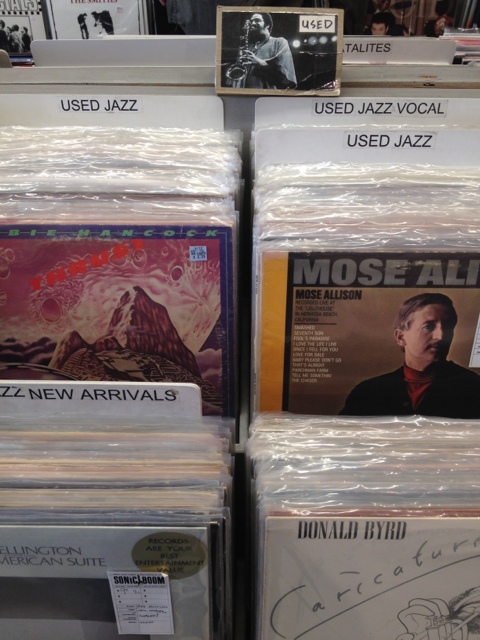 The center of the store had numerous shelves with very well organized records. Jazz, blues, rock, etc. This is one of those places that will have exactly what you're looking for, without even having to really hunt for it. It's all there, and you'll be happy to pay for the convenience. Not me, though. While I may have a mental list of records to look for, I'm happy to spend an hour or two simply going through everything, and letting the discovery happen on its own. Dave probably approached me three, maybe four, times asking "so what exactly are you looking for?" I was as polite as I could be, being asked that question so much. Sometimes you just want to dig, with no goal in sight. I ended up in the upstairs loft, where they had something like 100,000 45's to go through. There was a gentleman there who was a regular, and was trying to complete some crazy list of 22,000 records, and he had about six hundred left to find. Bugged out. I found a James Brown box of 45's, dug through them, knowing that I couldn't afford them on this trip. It was nice to see them, though, and make a mental note of the labels and what not for future ventures. Ended up leaving with a Marvin Gaye "Funky Space Re-incarnation" 45, a Ruby & The Romantics "Our Day Will Come" 45, and Syl Johnson's "Different Strokes" on 45.